SafeStrike Organic is a unique formulation of oils and surfactants rich in plant compounds containing vitamins, minerals, enzymes, antioxidants, and plant hormones. 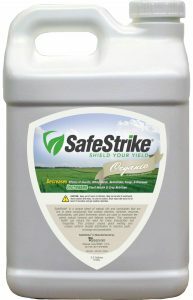 Use SafeStrike Organic to promote enhanced plant defense systems and mechanisms. Available for sale in the United States only. SafeStrike® Organic is a unique blend of oils and surfactants that are rich in plant compounds that contain vitamins, minerals, enzymes, antioxidants, and plant hormones which are used to maximize the plant’s immune and defense systems. SafeStrike Organic causes quick wetting and creates uniform droplet distribution to improve plant coverage and penetration. Soybeans, Corn, Sweet Corn, etc. Apply at pre-plant stage over the top while incorporating into the soil using 15 fl oz per acre for approximately 20-25 days effect after planting. 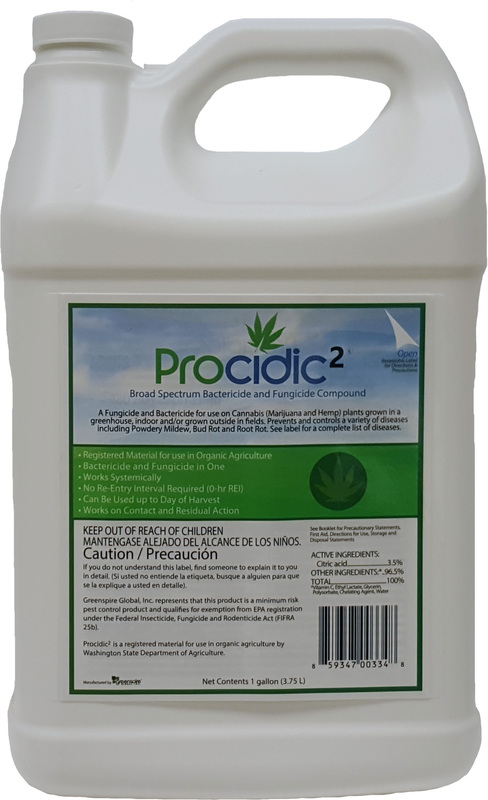 For row crop VE foliar application use 6 fl oz per acre for approximately 12-15 days effect as a crop health preventative measure. This pass could be made with herbicide or foliar feed (always check compatibility). For pre-tassel applications whether before tassel or after brown silk, use at a rate of 8-10 fl oz per acre as long as the early season application was made. If this is the first application, use a rate of 10-12 fl oz per acre. This pass could be made with an herbicide (always check compatibility). This application may provide up to 2 weeks of residual. 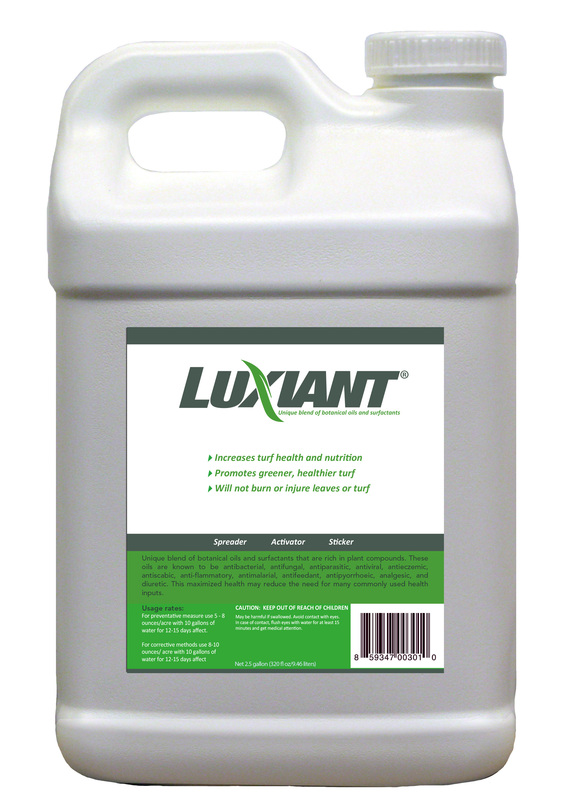 For aerial applications use 5 fl oz per acre. 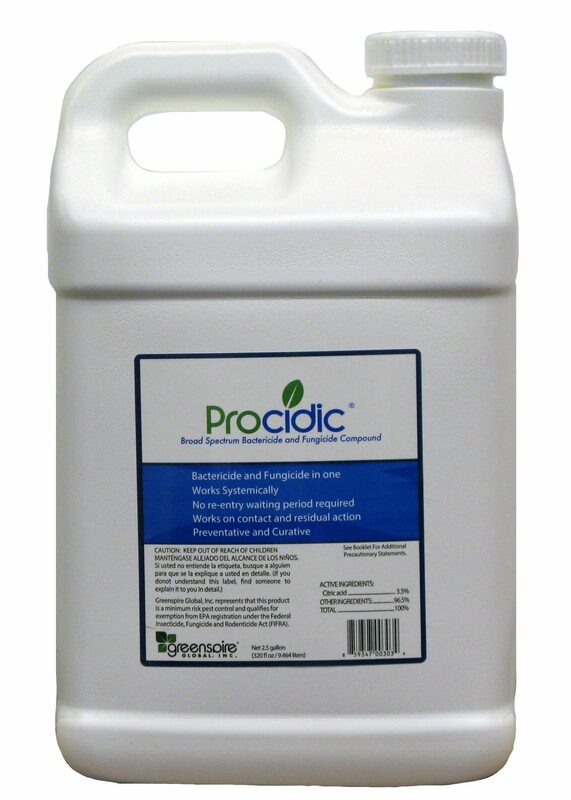 SafeStrike Organic has been used at a rate of 1 fl gal per 100 gal water per acre. In using aircraft applications or low spray volumes it may be necessary to use a compatibility agent. 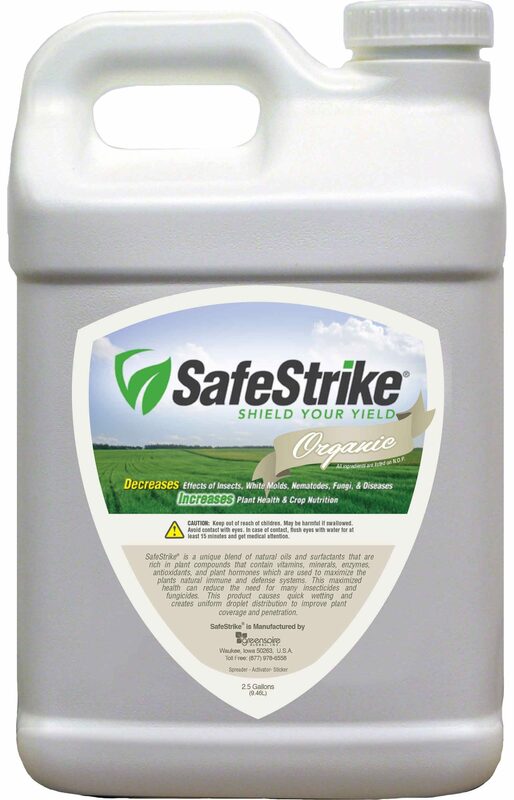 SafeStrike Organic is generally used at a rate of 2 fl quarts per 100 gal spray mixture to obtain a 1/2% solution. Always check compatiblity. If compatibility problems persist it may be necessary to use a compatibility agent. SafeStrike Organic may not mix well with straight fertilizer. Visit with your sales representative for more information. Do not store SafeStrike where it can freeze. Do not store in or expose to direct sunlight for extended periods of time. Do not store near heat or open flame. Store in temperatures between 45 and 85 degrees. Product could thicken if stored below 60 degrees. Warm product to room temperature and shake well before using. Best if water temperature is above 60 degrees in spray tank before adding product.. Adjust water to a pH of 6 before adding this product. i.e. : use citric acid to lower pH, generally 1/4 to 1/2 lb. per 100 gallons of water. For best results add Safestrke to your sprayer with water using an induction system for agitation and mixing with other products. Add Safestrike last to your tank mixture. Do not allow spray mixture to sit in the tank over night. Tank agitation may be necessary while spraying. Safestrike may not mix well with straight fertilizers. Always check compatibility with other products prior to use. If compatibility problems persist it may be necesarry to use a compatibility agent. If using aircraft applications or low spray volumes it may be necessary to use a compatibility agent. For best results avoid heat of the day applications during extreme sun light-heat, spray in the morning or evening. Soybean, Corn, Sweet Corn, etc Apply at pre-plant stage over the top while incorporating into the soil using 15 fl oz per acre for approximately 20-25 days effect after planting. Always check compatiblity. If compatibility problems persist it may be necessary to use a compatiblity agent. SafeStrike Organic may not mix well with straight fertilizer. Visit with your sales representative for more information.